Siri Shortcuts introduced a great deal of convenience for those who love to automate their tasks. It let users get things done with a simple voice command or one tap. And with the release of Apple’s own Shortcuts app and support for third-party apps, Siri Shortcuts truly came at the forefront. But if you want more, Sharecuts is an excellent platform to discover new shortcuts and share the ones you’ve created. 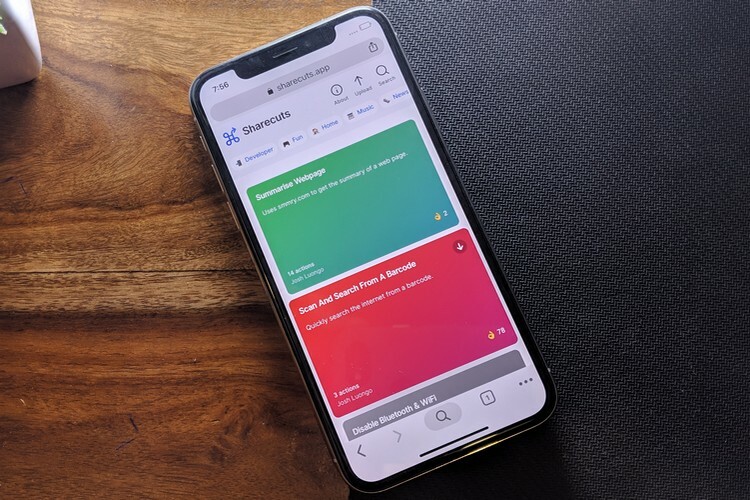 Created by noted tipster and iOS developer, Guilherme Rambo, Sharecuts is a directory of Siri Shortcuts created and shared freely by the iOS user community. Sharecuts is still in the nascent stages, which explains the relatively limited number of Siri Shortcuts listed here. However, there are a few that you will certainly appreciate, and downloading them is relatively easy too. 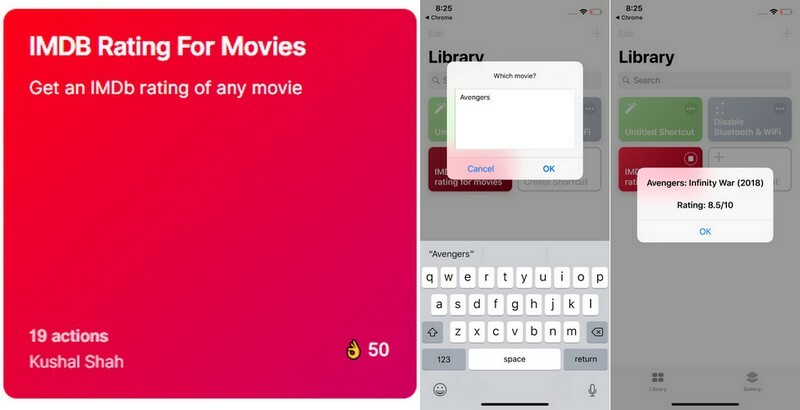 For example, I loved a particular Siri Shortcut called ‘IMDB Rating for Movies’, which as the name suggests, instantly presents the IMDb rating of any movie in the IMDb database. Thanks to it, I no longer had to do a Google search as I simply launched the shortcut and said the movie’s name out loud. You can choose to type the movie’s name, but I found the voice command to be more convenient. Once you’re done, Siri will come up with the film’s IMDb rating in seconds. 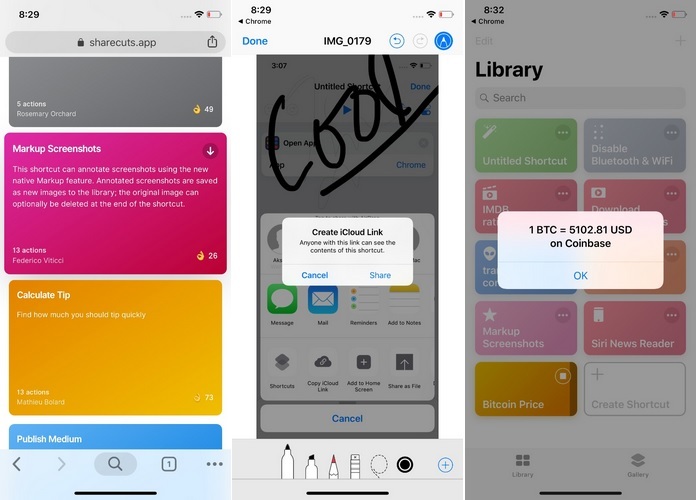 Another Shortcut which I found to be helpful was ‘Markup Screenshots’, which utilizes the inbuilt Markup feature to let users annotate their screenshots which are later saved as separate files in the image library. Then there is the ‘Siri News Reader’ shortcut which can be used to read the news titles from an RSS feed, while the ‘Bitcoin Price’ shortcut will instantly tell you the current value of the plunging cryptocurrency. As mentioned earlier, the number of Siri Shortcuts you can find on Sharecuts is quite limited, but we do hope that it evolves into the go-to platform for iPhone users looking for handy shortcuts in the foreseeable future.